The lesson I’m taking from today is that, if I am serious about one of my million dreams which is to join the bench in Zimbabwe, I need to toughen up. I had a bit of a Boston Legal moment when a jury at the Old Bailey returned its verdict in court today. Two teenage ethnic gang members were convicted of a gun-related murder. As the jury foreman announced the verdict, two mothers wailed uncontrollably – the mother of one of the convicted murderers and the mother of the young teenager who had been murdered. They were sent out of court in the interests of public order. I maintained my usual tough exterior as I sat next to the judge but my heart ripped into two. One part of me felt sorry for the young boy who is likely to face a sentence of life imprisonment. The other part of me bled for the mother who will never see her son again. Prosecuting and defending murder are some of the most daunting tasks any lawyer will ever face. 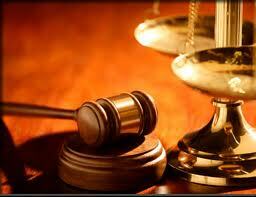 One needs to balance one’s duty to his or her client as well as a countervailing ethical duty to the court. Negotiating a happy medium is never easy. As I returned to the chambers of the judge with whom I marshal, I asked how he manages to remain dispassionate in view of his daily task of re-living episodes of murder, violence, prostitution and the crack-cocaine underworld. He flashed his ‘I-just-bench-pressed-the-world’ smile and admitted that it is not easy but it is a quality one develops over time. Tough, but true. Now to work on my stone cold heart.